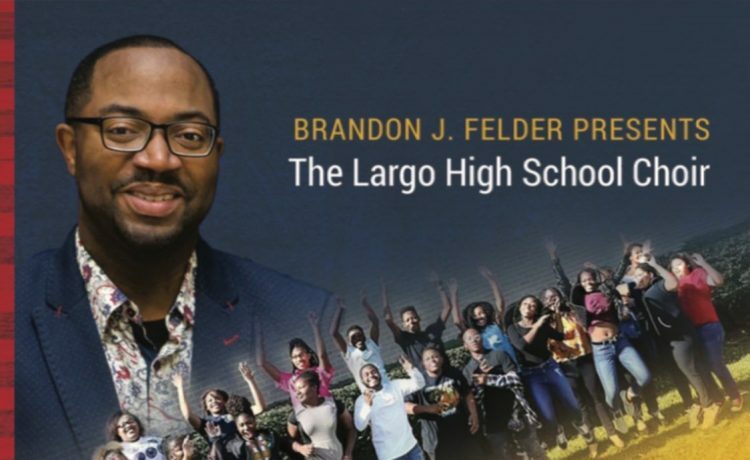 The CD from Largo High School Choir is a rousing collection of familiar inspirational songs spanning multiple genres like Gospel, classical and jazz. Largo High School is well-known throughout the state and the country for its excellent music program. Stellar Award winner & Gospel pioneer Phillip Carter saw the talent in the school’s choir when he signed them to his label, SOV Ministries, Inc. Last fall, the choir released its debut CD, Brandon J. Felder Presents The Largo High School Choir: Rejoice: A Celebration of Music, a collection of seasonal and perennial Gospel favorites. Not only has the project from the Prince George’s County, Maryland high school been catching the attention of the DMV area, but the nation is taking notice as well. The CD just soared up the Billboard Top Gospel Album Sales Chart to #7. In addition to the Gospel chart placement, the project also debuted at #21 on the Billboard Christian & Gospel Albums chart at #21 and on the Heatseekers Chart at #4, a chart that highlights CDs making major moves in multiple genres. 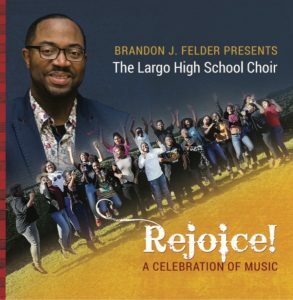 Those interested in hearing what others have been experiencing can purchase Brandon J. Felder Presents The Largo High School Choir: Rejoice: A Celebration of Music on BuyGospel.com and other digital music outlets. Those in the DMV can experience the choir up close and personal this weekend when hold their official CD Release and Winter Concert on Sunday, December 17, 2017, at 6 p.m. at the Kennedy Center for the Performing Arts. The free concert will feature vocal and instrumental music, dance and narration performances of Largo High School students and will also include students from their community feeder elementary and middle schools such as Kettering, Lake Arbor, Earnest Just, Walker Mill and Greenbelt. Felder invites music lovers to join in celebrating these music students as they strive towards artistic excellence in a historic venue. Admission is free and doors open at 5:30pm. For discounted parking passes, email jessie.simmonstaylor@pgcps.org. Connect with Phillip Carter on Facebook, Twitter and Instagram. Also, connect with Brandon J. Felder on Facebook, Twitter and Instagram.